Hip Hip Hooray! It’s the 100th Day! We are also looking forward to a –51 degree windchill in the morning. Yes, friends, you read that right. That is a MINUS in front of the 51. Here’s to hoping that the groundhog doesn’t see his shadow on Saturday. I’m ready for spring. Here’s a quick preview of some of the fun we had today! I’ll be back with more this weekend! We played this super easy, super fun game today, and I know your kiddos will love it, because mine sure did!! First, you need some ten frame mats – after Sarah over at First Grader at Last blogged about these adorable 10 frame mats this summer, I had to run out to Wal-Mart and pick up some of these place mats! So, you need 10 frame mats and some sort of cover or marker – I use these red/white chips. Each pair will need 1 mat and 10 chips. The children take turns placing the counters on the mat – one places and the other covers his/her eyes. When the “placer” finishes, the “counter” opens his/her eyes and quickly tries to count how many counters are on the mat. The goal is to be able to quickly look and not count. (subitizing!) The children had fun playing this over and over and over! For a twist, and for groups that were ready, instead of counting how many counters are on the mat, they counted how many empty spaces they were – quickly! As the children progress and get better and better, use 2 10 frame mats! We have been having fun with snowmen, winter, and mittens these last few weeks. It is desperately cold here in ND, so it is fitting. The forecast says that it could be up to a –57 windchill tomorrow. I need to put on some wool socks and crank up the furnace! We played a fun little even and odd game this week. The kids had a blast playing it. I saw this idea on Julie Lee’s blog, and I thought I would adapt it to use with our favorite character….Pete the Cat! We love Pete the Cat, so anything with the image of Pete is bound to be a hit! I made this super simple, super easy to make board and just cut 12 mittens out of construction paper. I broke out the ginormous dice too! We rolled 1 or 2 dice and counted the dots. Then we counted out the correct number of mittens onto our “Petes.” If one Pete was missing a mitten, we discovered the number was ODD! We kept track of our results on our dry erase boards. I had some super fun sheets for the kids to record their results, but the copier was broken, so I couldn’t use them! I think I’ll throw this in a center and have the kiddos do it one more time. I hope your copier isn’t broken so You can use these sheets! Click on the picture below to grab yourself a copy. What is your favorite way to teach and reinforce even and odd numbers? Stop.the.presses. I just LOVE a good book about books – don’t you?! One of my sweet parents gave me this book, and I love it so much! 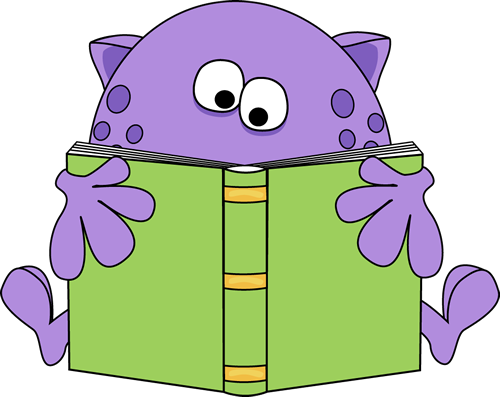 The Book Monster book is great for all ages, and is a great stepping stone for teaching genres. The adorable book monster loves to eat, devour, indulge in all kinds of books! I love how this book (and the monster) encourages kids to try out all different kinds of books. Your students will be excited to learn about all different types of books and be a book monster themselves after hearing this story!! Here is a simple little page you can use with your students after reading The Book Monster. Just click on the image to download. Here’s the best part, the author Emily Waisanan has agreed to give away one of her adorable books! Just enter in the raffle copter below and leave a comment telling me what your favorite genre to read is! Good luck! 100th Day is Coming Soon! If you’re interested in purchasing it, you can click on the image above to go to my shop. 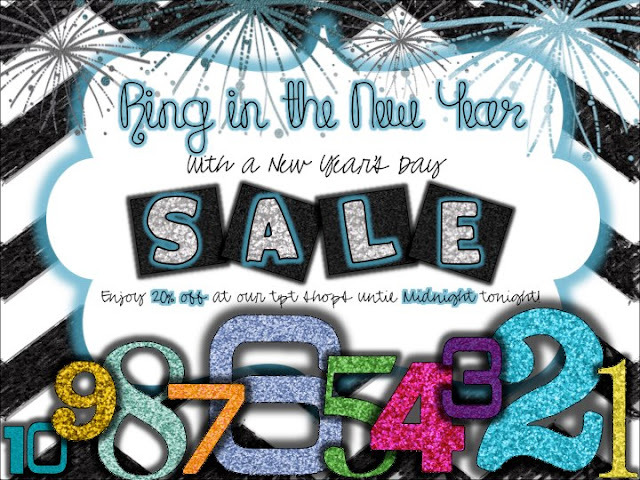 Ring in the New Year! The Sale Must Go On! Graphic used with permission from Hope King! Click on the graphic to head over to my store!